A unique set of biochemical reactions occurring in a particular cell defines the identity of that cell among the other cells. Enzymes are proteins that catalyze those biochemical reactions. Both coenzymes and cofactors are small, non-protein substances that play a vital role in the metabolic functions of the cell by helping the enzymes to catalyze the biochemical reactions. They bind to the active site of the enzyme. The main difference between coenzyme and cofactor is that coenzyme is a type of cofactor that loosely binds to the enzyme whereas cofactor sometimes binds tightly to the enzyme. Any freely diffusing organic molecule that serves as a cofactor with enzymes by aiding the function of the enzyme is known as a coenzyme. Hence, coenzyme is a small, organic, non-protein molecule found in the cell. Coenzymes function as intermediate carriers of electrons, specific atoms or functional groups that are to be transferred during the catalyzing reaction. 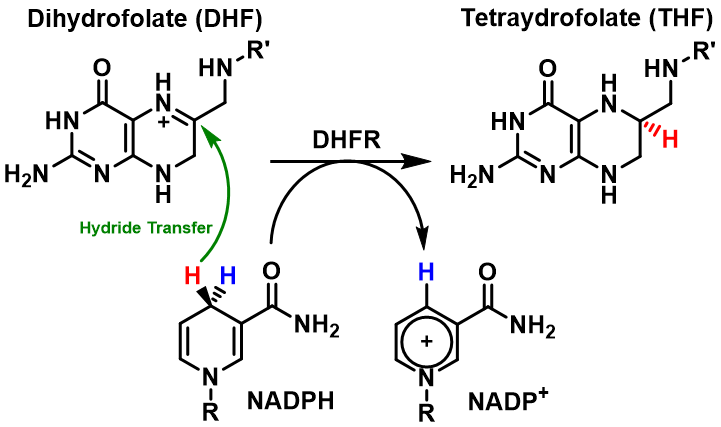 For example, NAD transfers electrons in coupled oxidation-reduction reactions. Coenzymes are modified during the reaction and another enzyme is required to restore the coenzyme into its original state. Since coenzymes are chemically changed during the reaction, they are considered as second substrates to the enzyme. Therefore, coenzymes are also called as co-substrates. On the other hand, since coenzymes are regenerated in the body their concentrations should be maintained inside the body. Most of the B vitamins are coenzymes that transfer atoms or groups of atoms between molecules during the synthesis of carbohydrates, proteins, and fats. These vitamins should be acquired from the diet since they are unable to be synthesized in the body. Some of the coenzymes and the reactions they are involved in are shown in table 1. Cofactor is a non-protein chemical compound that binds tightly to the enzyme, aiding in the function of an enzyme. It binds to the inactive form of the enzyme known as apoenzyme, making the enzyme active. Therefore, cofactors are called helper molecules. The active form of the enzymes is called holoenzyme. Cofactors can be either metals or coenzymes. Inorganic substances like metal, which firmly bind with the enzyme and are unable to remove without denaturing, are termed prosthetic groups. Metals like iron and copper are prosthetic cofactors. Some enzymes function only if a covalently bound metal ion is available in its active site. Coenzymes are organic cofactors that loosely bind to the enzyme. Some enzymes requiring metal ions for their function are shown in table 2. Coenzyme: Coenzyme is a small, organic, non-protein molecules that carry chemical groups between enzymes. Cofactor: Cofactor is a non-protein chemical compound that tightly and loosely binds with an enzyme or other protein molecules. Coenzyme: Coenzyme is a type of cofactor. Cofactor: Two types of cofactors are found: coenzymes and prosthetic groups. Cofactor: Cofactors are chemical compounds. Coenzyme: Coenzymes are organic molecules. Cofactor: Cofactors are inorganic compounds. Coenzyme: Coenzymes are loosely bound to enzymes. Cofactor: Cofactors like metal ions are covalently bound to an enzyme. Coenzyme: Coenzymes assist biological transformations. Cofactor: Cofactors aid the function of the relative enzyme. Coenzyme: Coenzymes serve as carriers to the enzymes. Cofactor: Cofactors increase the rate of the reaction that is catalyzed by the relevant enzyme. Coenzymes: Coenzymes can be removed from the enzyme easily since they are loosely bound to the enzyme. Cofactor: Cofactors can only be removed by denaturing the enzyme. Coenzyme: Vitamins, biotin, coenzyme A are coenzymes. Cofactor: Metal ions like Zn2+, K+ and Mg2+ are cofactors. Coenzyme and cofactor are two types of non-protein compounds that aid the function of enzymes that catalyze a variety of biochemical reactions occurring in living organisms. Both coenzymes and cofactors bind to the active site of the enzyme. There are two types of cofactors known as coenzymes and metals. Coenzymes are organic molecules that loosely bind to the enzyme. 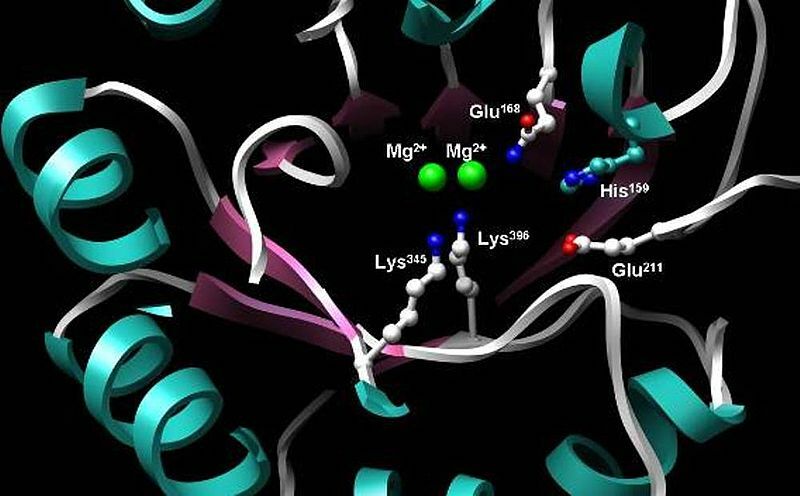 Metals are inorganic prosthetic groups that tightly bind to the enzyme. Coenzymes are mainly involved in the transformation of electrons, specific atoms or functional groups. However, the main difference between coenzyme and cofactor is in their nature of binding to the enzyme during the catalysis of biochemical reactions. 1. Helmenstine, Ph.D. Anne Marie. “What Is a Coenzyme? Definition and Examples.” ThoughtCo. N.p., n.d. Web. 22 May 2017. <https://www.thoughtco.com/definition-of-coenzyme-and-examples-604932>. 2. “Cofactor.” Encyclopædia Britannica. Encyclopædia Britannica, inc., n.d. Web. 22 May 2017. <https://www.britannica.com/science/cofactor>. 3. “Coenzymes and cofactors.” Coenzymes and cofactors. N.p., n.d. Web. 22 May 2017. <http://academic.brooklyn.cuny.edu/biology/bio4fv/page/coenzy_.htm>.